Jim Grant: Gold Isn't A Hedge Against Monetary Disorder, It's "An Investment In It"
Counter Trend Rally in Gold Due; Stock Market Topping? The Numbers Add Up to Vindication for a Cautious Gold Bull. . .
How Does The COMEX Fix This One? Jim Grant, founder of Grant's Interest Rate Observer has long been a proponent of gold, and equally a critic of central planners. He sat down recently for an interview at John Mauldin's strategic economic conference to discuss his views on gold, and how he struggles to understand those who view gold as an irrelevant curiosity. Grant is always worth a read and/or listen. On his current view regarding gold, Grant's humor was on display as he described to what degree he was bullish on gold, and that he wouldn't categorize gold as a hedge against monetary disorder but rather a bet on it. "This is not going to be any news, Jim Grant is bullish on gold. The degree I would characterize as 'very'. I would characterize gold not so much as a hedge against monetary disorder, but as an investment in it. People will say well that's a hedge against armageddon, no, armageddon doesnt' happen mostly, but what we are in the midst of is monetary shenanigans, and I see no real chance of being fewer of them, and a great chance there will be more of them." Regarding Western central banks having different ideas on whether or not to even own gold, for example the Canada, who recently sold all of its gold reserves, Grant pokes a bit of fun at the monetarist view of the world, and cautions that when Western central banks start to sell gold it's time to pay attention because that's a signal of significant distress in the world. "Western central banks to the extent that they are run by people who follow the educational path of Janet Yellen, and Ben Bernanke, and Mervyn King and MIT people I think they have one view which is that gold is a curiosity, it's like a monetary tonsil. It's this thing of ancient standing of no immediate relevance so they can't explain it they don't know what to do with it." "Gold however has its fans in the East and gold is moving from West to the East. When Western central banks do sell as the Bank of England did in the late 90's, as little Venezuela did in the first quarter and is probably doing now, typically those are moments to pay attention because they're moments of distress in the world"
"People who hold the view that the stewards of our paper and digital currencies have the answers, that this monetary improv conducted for the past seven or eight years by the world's Western central banks and certainly Japan, that this is the way forward. I try to understand what they're saying but I can't make head nor tail out of it. It seems to me the opposite is so obvious that sometimes I wonder if I'm seeing things." On what investors can do to protect themselves from what is coming (other than gold), Grant recommends holding cash (just as Grant Williams said as well). "Cash is invariably a nice thing to have, even though it yields nothing it's an option, it gives you the flexibility to move and to buy things." "Years ago a friend of mine had this conversation with a very wealthy client, and the client said 'there's one thing I never want to have to say, that I used to be rich'. So what cash does for an investor who has some of it, cash allows you to retain wealth with an eye to being opportunistic at that moment that no one wants the things that are now so popular." "If you were to have partaken in opportunities presented in the first quarter of 2009, or the final few months of 2008 those desperate times, you saw the most ordinary businesses who saw their stocks go up 8, 9, and 10 fold. Now that's not going to happen every ten years but it does happen, and is especially likely to happen it seems to me when central banks are manipulating asset values to the upside. One of the great sense of armor for investing is to be very mindful of margin of safety. Having a margin of safety with regard to the price, make sure that what you're getting is cheap so you can afford to have those mistakes you invariably make. The trouble with buying things when they're up apart from the fact that there's so little arithmetic value is that you have to be right." The above chart of the silver price at the close yesterday show silver moving dramatically lower. The GLD chart below shows gold in a declining wedge. Cyclically, an 8 TD low is due in gold and a 4 TD low due in GDX on June 1st. A strong rally is indicated into June 2nd for both gold and GDX. The stock market (as measured by the S&P 500) has either made its secondary top on May 31st or will likely do so on June 1, in my opinion. Another large drop is due in the weeks ahead. Bonds look like a bubble in search of a pin. What if global bonds are revalued lower to account for the following? Probability of repayment in a currency that will maintain its purchasing power for the lifetime of the bond. Probability of responsible fiscal management by the governments of the bond issuing countries. From Alasdair MacLeod: The Eurozone is the greatest danger. "Money that is invested in bonds and deposited in banks may already be on the way to money-heaven, without complacent investors and depositors realizing it." "The biggest problem confronting the global monetary elite is sovereign debt. There's too much of it, it's growing fast and it cannot possibly be paid off in real terms. A default larger than any in history with trillions of dollars in losses for investors is coming, sooner rather than later." What if the dollar Reserve Currency Status and the petro-dollar are very near their end? What if trillions of no longer needed dollars return from outside the US and push US consumer prices higher? What if the US stock market corrects by over 50% as it did after the 2000 and 2007 highs? 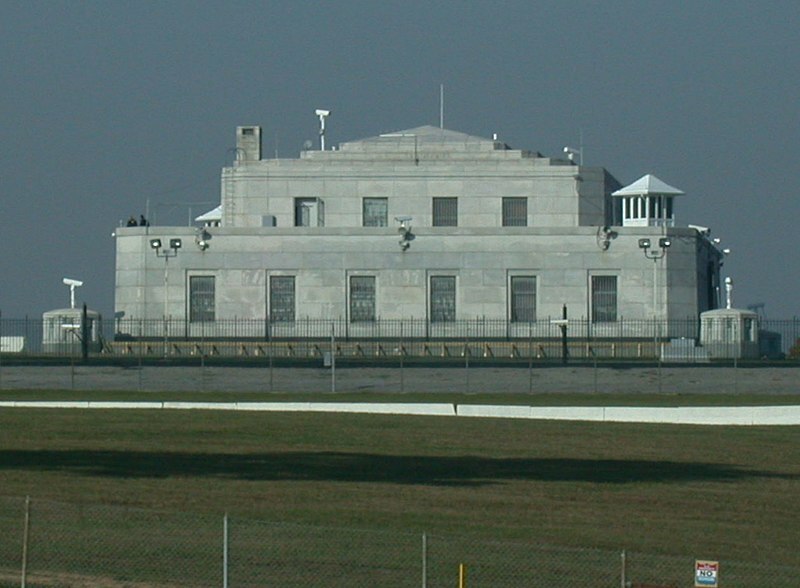 What if Fort Knox (officially contains about 4,176 metric tons of gold) is essentially empty of gold? What if the vaults in China, both public and private, are filled with far more than 10,000 tons of gold? What if the US government is overstating how much gold the US has vaulted while China is claiming far less gold than they truly possess? Both governments have good reasons to lie. What if many defined benefit retirement programs for government and union employees will be insolvent unless they can consistently earn about 8% (unlikely) on their stock and bond portfolios? In the lead up to the Presidential election we've seen pockets of riotous behavior across America. Whether supporting Trump, Sanders, Hillary or Cruz, average Americans appear to be ready to go to war with their government or with each other. This sentiment, coupled with continued economic degradation and a general feeling of a populace that has for decades been marginalized by the political machine in the United States, is showing all the signs of serious civil unrest on the horizon. In the following interview with Infowars.com special forces commando Tim Kennedy weighs in, describing the current situation as a trench having been dug and filled with accelerants just waiting to be ignited. Kennedy is a continuity of government expert, which means he's well versed in not only how the powder keg of civil unrest could potentially explode, but what The-Powers-That-Be will do once it does. For civil unrest to happen you have to have a bunch of little things that set up for the perfect situation. You have to have a reason. People are so emotionally involved in this Presidential election right now… and finally for the first time realizing there is something wrong with our country… the eyes are open… we know that something's not right. We have a perfect conducive environment for some serious problems… you think riots in Missouri were bad? Just wait until July… wait until August. The trench has been dug and it is full of accelerants… everything is right for things to go very wrong. Kennedy warns that once civil unrest happens on a nationwide scale, you'd better have taken steps to prepare, because just as we saw in Venezuela, Argentina and elsewhere during such tense periods, essential goods disappear from the shelves almost overnight. And while such events are often dismissed by Americans as improbable, your concerns over the possibility are not without merit. As an individual you have to get ready. Don't care if people think that you're crazy… don't think that you're being a fanatic… that you're being a prepper. I'm only responsible for my family… My family is going to have food… My family is going to have water… We are going to be safe. And if you think I'm crazy because I want to make sure my family is protected, fine, that's the way it is. But as an individual you need to look and research about ways to prepare in whatever city you live in. That means you need to take steps to prepare your own personal continuity plan. Disasters do not discriminate. In the aftermath of the event, you will be on your own, left to provide for your family with the supplies and knowledge you have accrued. If you are prepared with the mental and spiritual foundation to overcome disaster, then you will transition into survival mode more quickly. …When you plan for extended disasters you must take into account that you could be on you own for up to a month or longer. To carry you through this unpredictable time, you must add additional layers to your preparedness foundation so that it incorporates essential knowledge and additional supplies. By preparing for the possibility of a widespread civil unrest scenario you'd also be readying yourself for other potentially deadly events, thus focusing on core supplies and knowledge is key. Emergency Food Supplies will be absolutely critical. Even during a snowstorm or hurricane that are often forecast well in advance we see panic in grocery stores in the lead up, often leaving store shelves razed and completely empty. Stockpiling easy-to-cook, highly nutritious meals will be critical. Such supplies can be acquired in grab-and-go buckets or family packages for multi-day or multi-week emergency scenarios. Portable food supplies may come in handy should you be caught in the middle of civil unrest and riots. These come in the form of high-calorie-food bars that can be hidden in a backpack, your car, or supplement existing food storage supplies. At a whopping 3600 calories per bar, five of these are enough for a week's worth of emergency survival nutrition. Emergency Water will be essential in a scenario where city governments are overwhelmed with rioting or looting. A number of disaster scenarios could lead to water in an entire city being either too dangerous to drink or simply turned off at the source. Having a gravity water filter at home will allow you to stay hydrated during times of crisis. If you're caught out in the open, keeping a portable water filtertration system like the Katadyn Hiker Microfilter or Micropur Water Treatment Tablets in your back pack could be a life saver. Nuclear, Biological, Chemical (NBC) Protective Equipment is an additional safety measure, especially in riot scenarios where poisonous gases could be used by both law enforcement or rioters. Moreover, such gear is the last line of defense in the event of a serious NBC disaster that could include the release of poison gases in crowded, tightly confided spaces like subways, or in a worst case scenario, an attack on a domestic nuclear power plant. Firearms, Ammunition and Body Armor will be essential. People will panic. People will become violent. And people are going to get hurt. Be armed with enough ammunition to keep your family safe and secure, and know how to use your equipment. But remember, if you have to shoot at a threat, there is a strong possibility they will be shooting back. 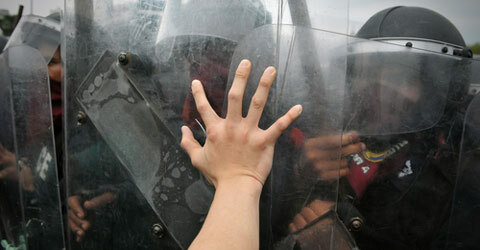 As such, consider body armor as a means of protection in extremely volatile and potentially violent situations. First Aid and Trauma Supplies will be essential to your safety. In a serious emergency there will be no hospitals and you will need to become the doctor. Collapse doctor Joe Alton has written The Survival Medicine Handbook for just this reason. You'll want to have a first aid kit, but we also strong encourage you to consider trauma kits for serious injuries. And it's always a good idea to have antibiotics to prevent infection in the event you can't get to an emergency room. Barter and Trade could come into play as well, especially when store shelves are empty. And while the above supply list could be used for barter, so too can silver bullion like coins and bars. Hard currency has been used in Zimbabwe, Argentina and Greece when either currencies collapsed or banks were closed down due to emergencies. The above supply list includes some of the very basics one should have in their preparedness supplies. For extensive supply lists and scores of disaster scenarios we encourage you to read Tess Pennington's highly acclaimed The Prepper's Blueprint. Whether it's civil unrest this summer or as the result of an economic collapse in the future, or any number of other disaster scenarios, having at least a 30 day supply of essential necessities will mean the difference between life and death. At the very least, they will help make a very uncomfortable situation a bit more bearable. As Tim Kennedy has highlighted, the trenches have been dug and the accelerant has been poured. All we're waiting for now is the spark. NEW YORK -- Barrick Gold Corp. has agreed to pay $140 million to resolve a U.S. lawsuit accusing the gold producer of concealing problems at a South American mine and of fraudulently inflating the company's market value, according to court papers. The settlement, disclosed in papers filed today in Manhattan federal court, would resolve a class action accusing Barrick of deceiving investors about environmental problems afflicting its Pascua-Lama project on the border of Argentina and Chile. "I am pleased we were able to reach this resolution for investors," James Hughes, a lawyer for the plaintiffs at the law firm Motley Rice, said in a statement. The house has four bedrooms, three baths, and 2,061 square feet, & sits on 2-1/2 Acres on a gravel road. They originally listed it for $210K, it appraises for $185k, & now they've lowered the price to $148k. They're in a hurry. You northerners won't believe this, but yearly taxes are only $518.00. Check the listing, and look at the pictures yourself. Let us not mince words: stocks were saved today by a "miraculous friend" who entered the falling market PRECISELY one hour before close to buy like a mad dog -- like somebody to whom money is no object. Who would do such a thing? Who indeed? Investors? Y'all don't take my word for anything. God to www.nasdaq.com and click on every one of those index charts. Look at 'em. Every one was invaded by friends right at 3:01. Some of us who don't believe in stock faeries might suspect the Nice Government Men had a hand in that, but we are all jaundiced cynics. Dow ended down 86.0 (00.48%) at 17,787.20 while the SP500 lost only 2.0 (0.1%) for a close at 2,096.96. Mercy, they can fight gravity all they want, but eventually gravity will wreak its vengeance. Stocks are completing a head and shoulders top, whether "friendly" buying saved them from closing below their 50 day moving averages today or not. Stocks have cracked. Like an egg falling out of the cracked shell over a skilletfull of hot bacon grease, nothing sizzling yet, but just you wait till it hits that hot grease. US dollar index rose 38 basis points (0.4%) to 95.88, yet did not crush gold. Mmmm. Dollar index continues it slothful rally, reaching toward the breaking point at the 200 DMA, now 96.62. A failure there would put some nitro in gold & silver's tank. A punch through that 200 DMA might give 'em flat tires. Today was actually an up-day for Gold, although the $1.00 (0.08%) higher close at $1,214.80 on Comex doesn't look like much. Not so silver, which lost 27.4¢ (1.7%) at 1597.2¢. The post How Does The COMEX Fix This One? appeared first on Jim Sinclair's Mineset. -- is mistaken. Investing isn't just about being "right." It is also about being moral. If technical analysis showed a buy signal, then presumably Norcini would buy Monsanto, or cluster-bomb maker Alliant Techsystems, or a cosmetics manufacturer that tests its products on puppies. If there is one thing I think most members of the gold community have, it is a strong sense of right and wrong. I am proud to be part of this community and struggle for honesty, transparency, and social justice. I am proud to encourage the gold industry to maintain the highest standards against money laundering and terrorist financing. As an associate member of the London Bullion Market Association, I am proud of the LBMA's efforts to improve working conditions for miners and to stop the gold equivalent of "blood diamonds." I am all over the concept of responsible investing as it relates to the gold market precisely because of the unsustainable and hazardous nature of our financial environment. The average person does not understand how precarious things are, and so I try to fight for him. Norcini has no idea how big the responsible investing community is. (It isn't just people of faith.) Nor does he know how big it will get. It already represents more than $1 trillion in assets under management globally and has doubled in the last two years with no sign of slowing down. In 2011 I recognized that the responsible investment community would be an excellent platform from which to present gold. I wasn't wrong. I believe that Bullion Management Group is now the world's most responsible precious metals company. Not only is BMG engaging in conversation with the LBMA's "Responsible Gold Guidance" program; we are also an associate member of Canada's preeminent Responsible Investment Association. Just last week we signed on to the United Nations-endorsed principles of responsible investment by becoming a signatory to the "Six Principles of Responsible Investing." We will be drafting the press release this week and presenting it at Canada's largest responsible investment conference the following week. Norcini's comments reflect the typical Wall Street attitude: abhorrently agnostic to the plight of the average person. All money managers understand that diversification is necessary for steady returns with low volatility. But most money managers fail to grasp the bigger view -- that it is the government and the banking system itself that investors need to hedge against. Adding gold to one's portfolio as a hedge (let's call it shorting big government and big banks) has been an effective way to achieve steady returns, reduce volatility, and insure against the madness of modern banking. Gold has provided a return of more than 350 percent since 2000. What index has done that? What bank stock has done that? What bond has done that? What currency has done that? What do all those securities have in common? They are nothing more than promises from dubious institutions that are fraught with multiple counterparty claims. Gold is not a promise. Gold does not need a portfolio manager. Gold does not need an institution. Gold will never file for bankruptcy. Gold can never be worthless. Gold cannot be dishonest. Gold is the exact opposite of, and competition to, government-issued money -- and that is why it is disparaged. If gold is really a "barbarous relic," then why do all major central banks own it? It's simple: Gold is a hedge against themselves. I'd love to hear a central banker admit it. Brandon White is an analyst for Bullion Management Group in Markham, Ontario, Canada (http://bmgbullion.com/), and can be reached at b.white@bmgbullion.com. BREXIT gold diversification is taking place due to concerns about the BREXIT vote on June 23rd as “smart money” institutions, banks and investors diversify into non negative yielding gold. The mining industry has been very busy over the last few months with the gold price showing signs of stabilizing, financings getting completed, preliminary economic assessments being released, prefeasibility studies being updated and M&A activity increasing. The market has a buzz once again and Thibaut Lepouttre of Caesars Report profiles several companies that are reaping the rewards of being very active right now.